If you haven’t had the chance to visit Kabuto since its grand debut, grab a few friends and gather around a hibachi table tonight. Watch while the chef deftly flips and fries your salmon, chicken, or filet mignon atop the searing hot flat grill. For those who are more interested in the sushi, sit down around a typical table and order a round of different rolls. Try the Tuna Amazing, which features spicy tuna, white tuna tempura, and avocado on the inside, plus peppered tuna, wasabi aioli, and eel sauce on top. 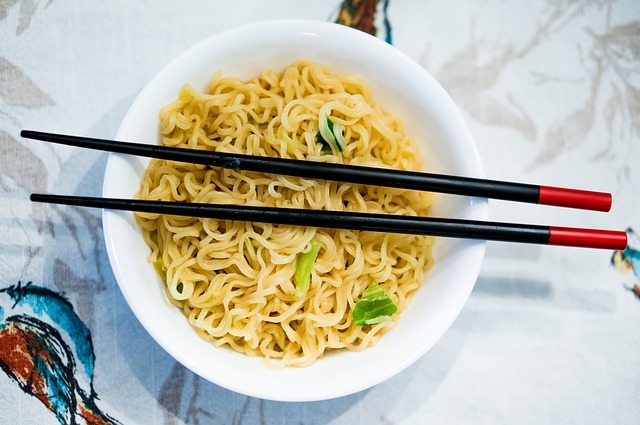 When you’re in the mood for noodles, opt for a bowl of ramen. The chef creates the classic Japanese entree in a variety of different ways, from shio (the original ramen with a salt-based broth) to vegan (a plant-based broth with a medley of veggies).